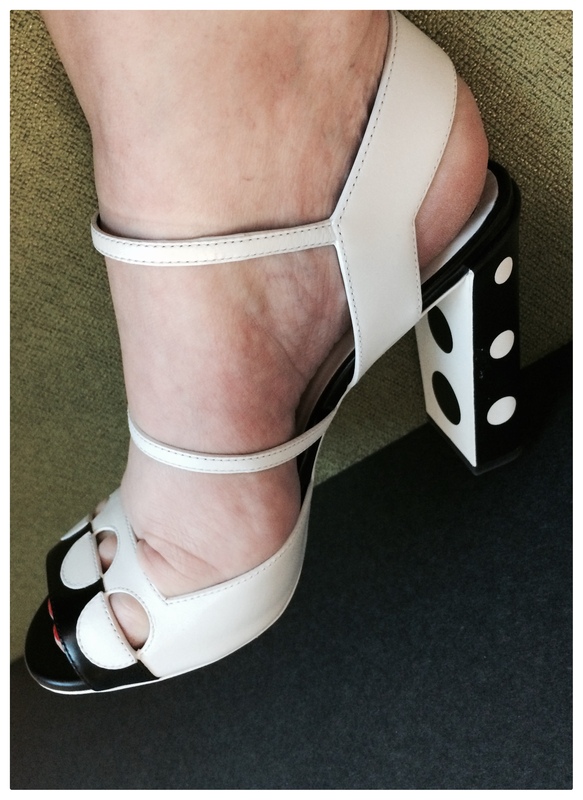 June | 2015 | Footwear Fashionista … a sneak peek into my shoe closet! Mod dots! Color-blocked double strapped sandals by Fendi. 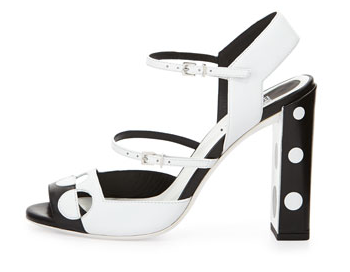 Toe band has geometric cut out details but its the polka-dot detail on the heel that made me want these shoes. These 4″ towering heels are amazingly comfortable, strikingly beautiful, fun and flirty. A true summer stand-out!